Adding just a few keyboard shortcuts to your repertoire can be painless and easy. And painless in more ways than one, since shortcuts mean spending less time on the mouse, which in turn means a lower risk of Carpel Tunnel and Repetitive Stress Injury (RSI). Let’s take a look at three of the places where you probably spend most of your time on the Mac and see how keyboard shortcuts can make you more efficient. 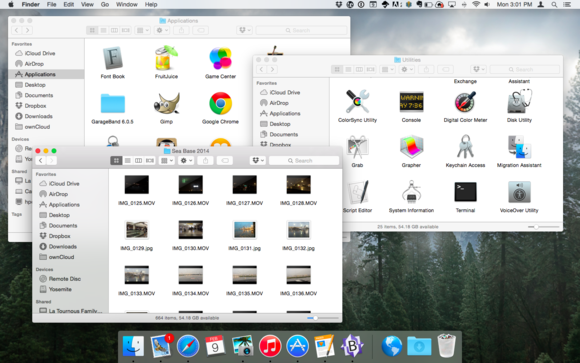 You may not think of it as an application at all, but the Finder is the glue that holds the rest of your Mac experience together, and you probably spend more time here than you realize. But what if it’s open folders and not apps that are cluttering your desktop? There’s a shortcut for that too: Command-W (think “Withdraw Windows”) will close one window; Command-Option-W will close them all in one fell swoop. Keyboard shortcuts can take you directly to specific folders, or unclutter your desktop in an instant. You may already know that typing Command-Space will invoke Spotlight. While it’s open, type the first few letters of the application, folder, or file you’re looking for and Spotlight will likely find what you’re after before you finish typing its name. Pressing Return will open the object of your search. 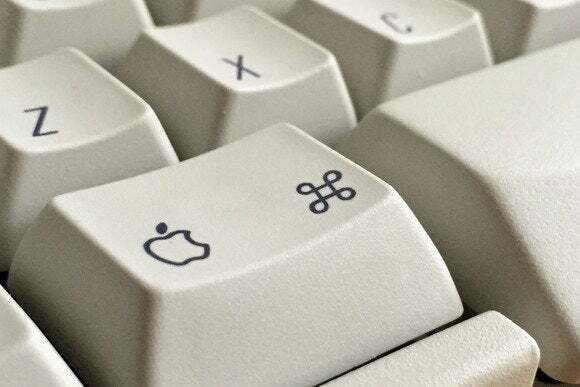 To give credit where it’s due, Windows had it first, but there’s a keyboard shortcut that will let you cycle through all your open applications. Hold down the Command key and tap Tab. You’ll see a nice big bar that displays all your open apps. Each tap of the Tab key will take you to the next application, from right to left. Want to go the other way? 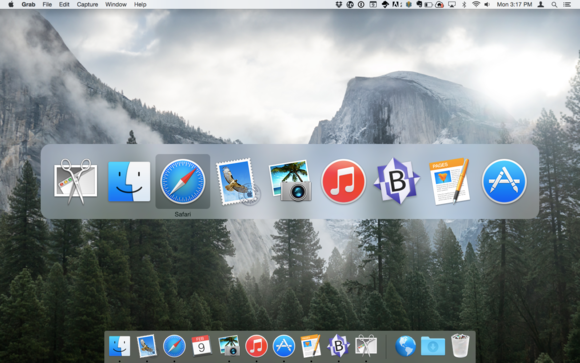 Hold down the Shift key in addition to Command and Tab through your apps in reverse. There are a couple of other neat tricks that Apple added to the Command-Tab shortcut: While any app is highlighted, tapping the H key will hide it and tapping Q will quit it. If you haven’t quite mastered the art of the neat desktop, these shortcuts will become indispensable in short order. The Command-Tab application switcher is the foundation for a slew of useful keyboard shortcuts. There are lots of keyboard shortcuts in the Mail app as well, but learning just a few can have a big impact on your email habits. You can choose how often Mail checks for new messages in its preferences, but you always have the option of manually checking for new mail. To do so without having to visit the Mailbox menu, type Command-Shift-N (for New messages.) Leave out the Shift key and Command-N will create a new, blank message. Finally, there’s no need to pick up your mouse and click on Send. Type Command-Shift-D (“Deploy?” “Deliver?”) and your message will be on its way. We spend a lot of time in our web browsers these days and even a few seconds saved by using keyboard shortcuts can make a big difference over time. Here are some favorites you may have overlooked. For the fastest way of getting to the address bar and entering a URL, try Command-L (for “Location”). That puts your cursor in the address bar so you can immediately start typing. When you’ve entered your URL, just hit Return and you’re on your way. The L is for Location: Type Command-L and start typing your URL. Safari will take care of the rest. Keyboard shortcuts even let you navigate between pages. Type Command-Left Arrow to go to the previous page and when you’re ready to go forward again, type Command-Right Arrow. What if you want to navigate between multiple tabs? Keyboard shortcuts to the rescue. Type Command-Shift-] to jump to the next tab and Command-Shift-[ to jump to the previous one. And if you have multiple windows open in your browser (or pretty much any application), Command-` will cycle through them. The biggest hurdle to becoming proficient with keyboard shortcuts is allowing them to overwhelm you. Even these 20 or so shortcuts may be a lot to absorb at first. But if you start with just a few at a time—or maybe just one of the applications discussed here—you’ll soon see that they make you a more efficient Mac user. Have a favorite shortcut that we didn’t get to? Let us know about it in the comments below.